have you been having so much fun this summer that you haven’t thought about getting ready for school? Let us help! We have 10 Back to School Organization Ideas just for you! The start of the school year brings with it a new schedule, additional activities, and demands on everyone’s time. Forget New Year’s Eve, the start of the school year is when moms make resolutions to get organized! Getting ready for school may cause some stress in your life. Don’t let school send your family life into chaos! 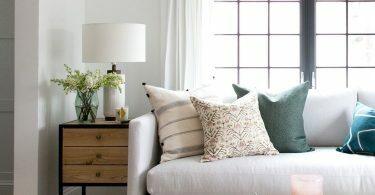 Use these 10 back to school organization ideas to handle the transition with ease. Chances are with school starting up your family calendar is about to get more complicated. Between school activities, homework, fall sports, and just everyday life there is too much to keep track of all in your head. And typically it’s mom who ends up trying to keep track of everyone. 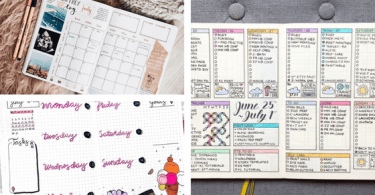 What you need is a family calendar and now is the perfect time to create one. Whether you post a magnetic calendar on your fridge, use an old-fashioned paper calendar on the wall or create a shared digital calendar for the family it needs to be accessible to everyone. Sharing a calendar helps everyone in the family keep the varying days and activities straight and helps get everyone organized for back to school. Not long after school starts homework follows. Get ready now by setting up a homework station. If your child has a desk, make sure it’s stocked with supplies and is in a quiet place ideal for focus. 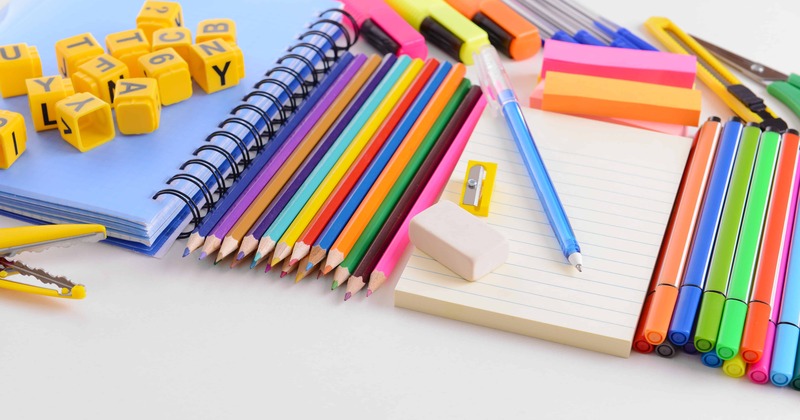 If your kids will be using the kitchen table or another centrally located space, create a caddy with school supplies that can be pulled out and placed on the table at homework time. Consider creating dividers out of cardboard boxes if you have multiple kids at the table. It’s a great way to minimize distractions during homework time. A homework station doesn’t need to be fancy but it’s important to have a designated time and place for school work to stay organized and on top of assignments. Almost as soon as they get through the door after school, most kids go digging for a snack. 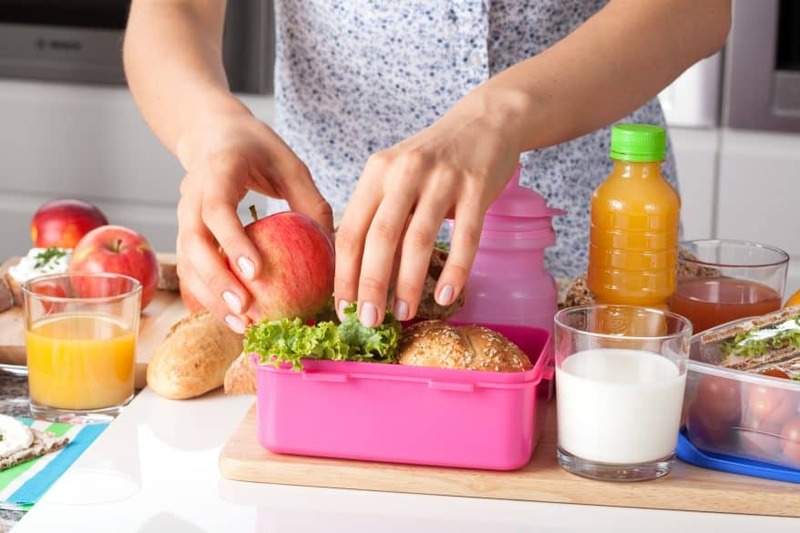 If you don’t like the idea of your kids rifling through cupboards or eating too much junk food, create a bin of pre-planned after school snacks. This can be a drawer in the refrigerator with cheese sticks and pre-cut fruits and veggies. Or a bin in your cupboard with bags of pretzels or dried fruit. Set it up right and your kids can grab their own healthy snack every day after school. And not spending a half hour trying to find something to eat saves time if you have after-school activities to get to or your child gets cranky when they’re hungry. Who hasn’t had their kids toss their coat and backpack on the floor the minute they come through the door after school? It’s so frustrating! If you want to be organized, you have to stop that habit before it starts. 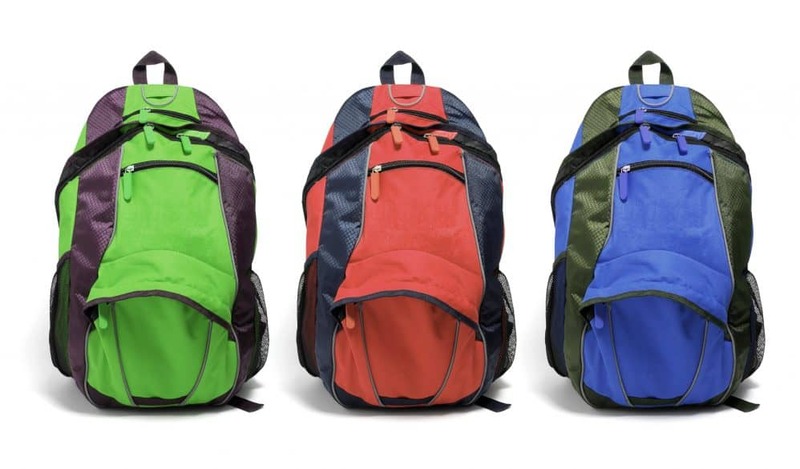 Before the school year begins, figure out where backpacks and coats are going to go. Is there a place you can put hooks on the wall to hang them, preferably near the door? Or a cupboard or closet they can set them in? Make a plan now to avoid having backpacks cluttering up your entryway for the next nine months. Shopping for back to school clothes is a tradition in many families. There are great deals on kids clothes and the weather is about to change. Chances are your kids need a few new things to replace what they’ve outgrown or worn out since last fall. Before going school shopping get organized at home by cleaning out closets and dressers. Donate or discard outgrown or worn out clothes to make room for the new. Back to school organization means planning for the mornings. School mornings are a hectic time of day in most households. And if you want to start your school days off with a minimum of stress plan out a morning routine ahead of time. What time will everyone get up? Do you need a shower schedule? What’s the plan for breakfast? Will your kids lay out clothes the night before? Or choose clothes in the morning? Start talking about this now so that the first day of school doesn’t fall apart before it begins. If your child has trouble getting moving in the morning or staying focused, consider a visual schedule or checklist for them to complete. This can help your child feel organized and more importantly, minimize arguments or frustration between you and your kids. Be prepared is as much the motto of the average mom as it is the Boy Scouts. One great way to stay organized for back to school is to have a stash of emergency supplies in the car. This can mean pens and pencils for last minute homework or parent signatures in the car. Or a box of granola bars for days that breakfast gets missed. Include an emergency stash of money for a kid that forgets their lunch box too. Almost anything that could go wrong can be planned for and disaster averted if you think ahead. One of my favorite back to school organization ideas is setting up an inbox for parents. This is the place for your kids to put any permission slips you need to sign, notes from their teacher or homework they want you to check over. You can also use it to store school lunch menus, PTA reminders or anything else school related you don’t want to lose track of. Now is the time to get organized for school lunches. What will your kids be eating? Do you want to set up stations where they can pack their own lunches? Or will mom or dad be doing it the night before or in the morning? Decide how things will work so you can get organized and have everything go smoothly starting from the first day. If your child prefers hot lunch, find out when and how you need to add money to their school lunch account. Getting it done now means you can cross one more thing off of your to-do list. Weekday evenings get busier during the school year. As a result of everyone coming home from work and school with homework and fall sports or other activities to get to, we often find ourselves eating dinner later and later. Or eating fast food or other less than ideal situations. Organizing now by doing some simple meal planning or creating freezer meals you can thaw and throw together on busy fall days will save you time and stress. You’ll be thankful to have something quick and healthy to serve.